I just installed the trial version of sambapos v5, installed mssql express 2017 and everything works perfect. 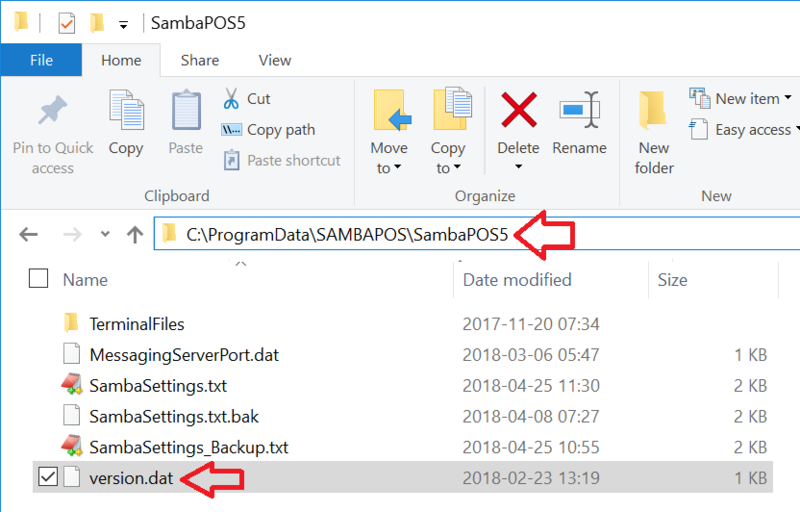 version.dat file does not exist in C:/ProgramData/SAMBAPOS/SambaPOS5/. May I create the version.dat manually? searched about it but couldnt find anything?? Did you install QMX on the the SambaPOS "Server" computer? Does the path exist? It should. ProgramData is a hidden folder, so Explorer may not show it, but it will exist. Post a screenshot of the error message. Are there any programs or services running on port 3000 ?